I'm still here! I have been so super busy the last several weeks! My husband and I bought a house! And a horse! And moved! 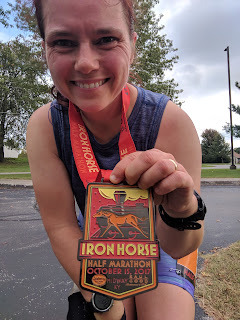 And I ran my half marathon in mid-October. Not only did I PR, but I smashed my PR of 2015 by 13 minutes 14 seconds!!! So thrilled with the Hansons Marathon Method training program and my performance. 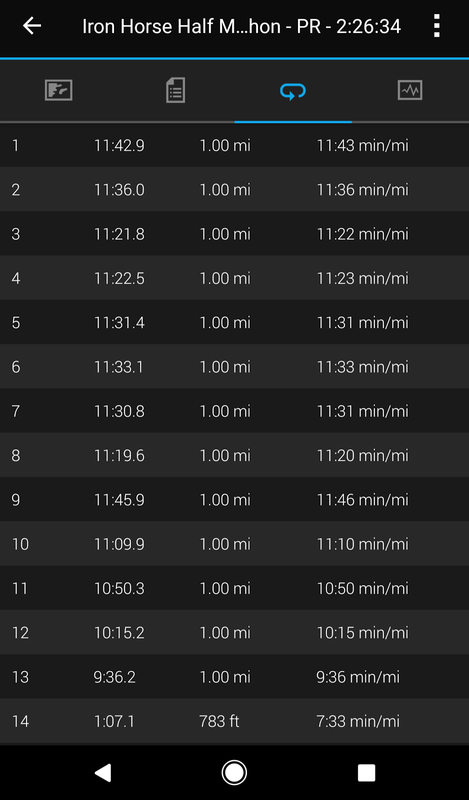 I used the hills to my advantage and pulled out the stops after 10 miles. 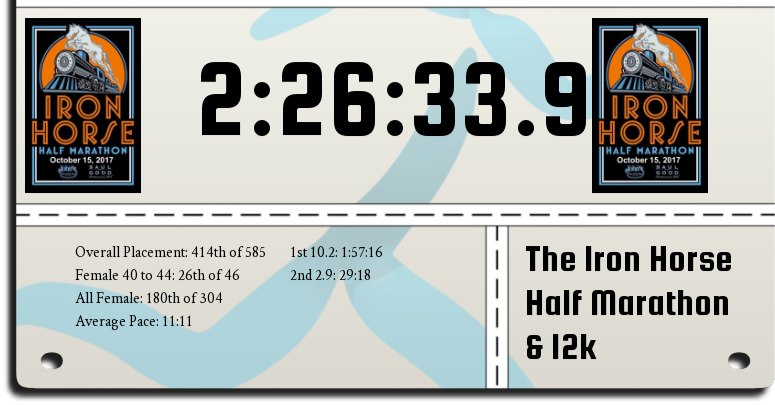 I had an amazing negative split, running the last 3.1 miles in 31:48, which is a PR for a 5k effort! 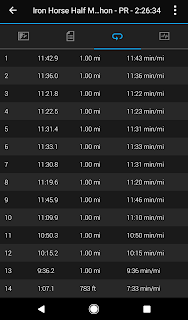 Granted, I did have some gravity help in the last 3.15 miles but there were some uphills too. This was my goal race. I trained specifically for this race on this day. 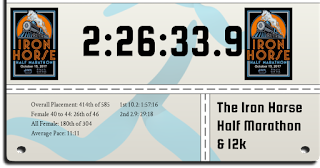 I trained for 2:35, hoped for 2:30 and came away with 2:26:34, surprising myself. After some food, a shower and stretching, I felt great. Even after driving several hours home, I felt great. I was a little stiff the next day, but overall, felt really good. Definitely going to use Hansons in some form for my spring marathon training! 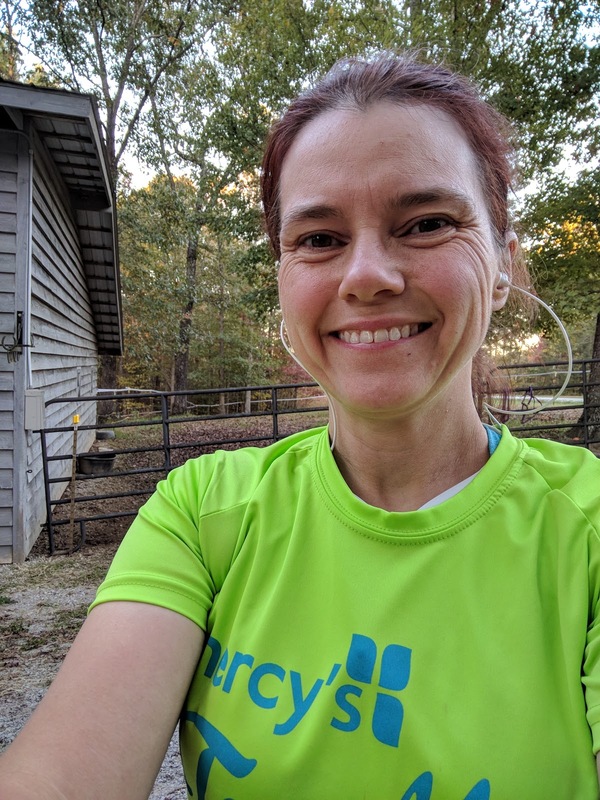 I took 10 days off running and have done some easy running since then. 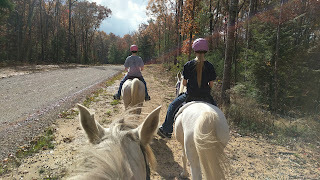 I've been riding my horses a lot the last 10 days. Marathon training starts in the next week or two. 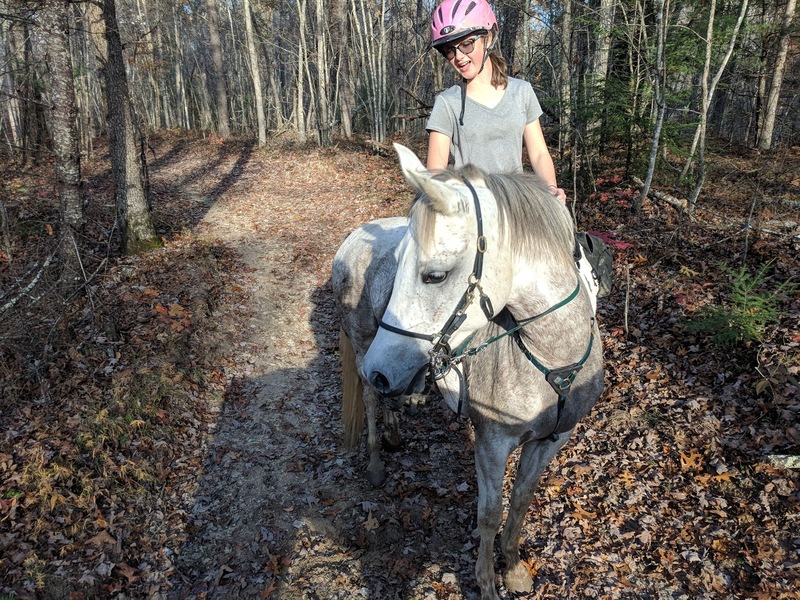 Our new house is in an equestrian community with horse trails connecting to hundreds of miles of trails in a national forest area. So much running and riding waiting for me just outside my door! Here are some random pictures for you to enjoy. 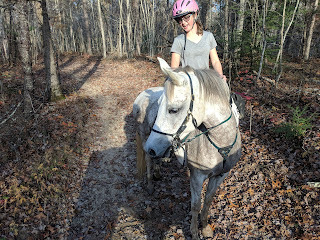 My niece, Lillie, on my new horse, Dia, a 5 year old half Arabian mare. My nieces, Amy and Rinnah, on Serts and Sasha. 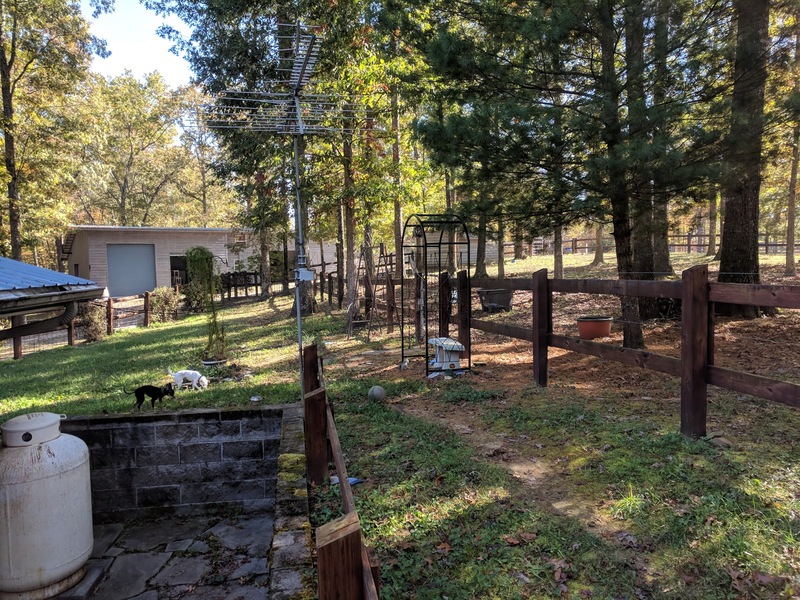 View from the back of the house looking toward the barn/garage. My first run at the new house!! Barn and paddock in the background. Just after my PR finish!